Valmiki, Vyasa, and Kalidasa are the three greatest poets of India, and one cannot have a living experience of Indian culture without some direct experience of the works of these three great poets. 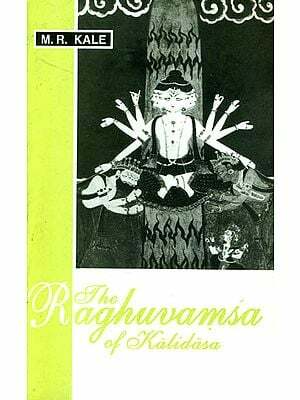 Kalidasa is the reputed author of Raghuvamsh Ritusamhara, Meghaduta and Kumarasambhavam Apart from these four poetical works, three dramatic works have been universally attributed to Kalidasa, viz., M a l a v I k a g n I m I t r a m,V I k r a m o r v a s h I y a m , Abhijnanashakuntalam. 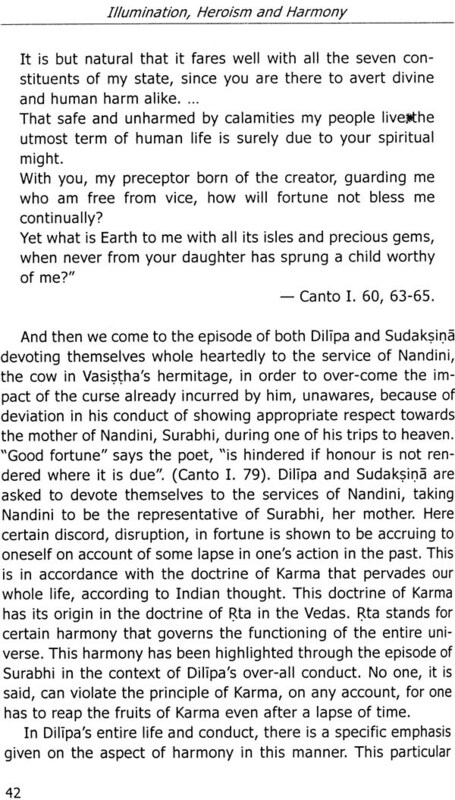 In all the works of Kalidasa we find a majestic style, charming suggestion, apt similes, beautiful ornamentation and colourful descriptions of nature as also the description of human happiness and suffering. 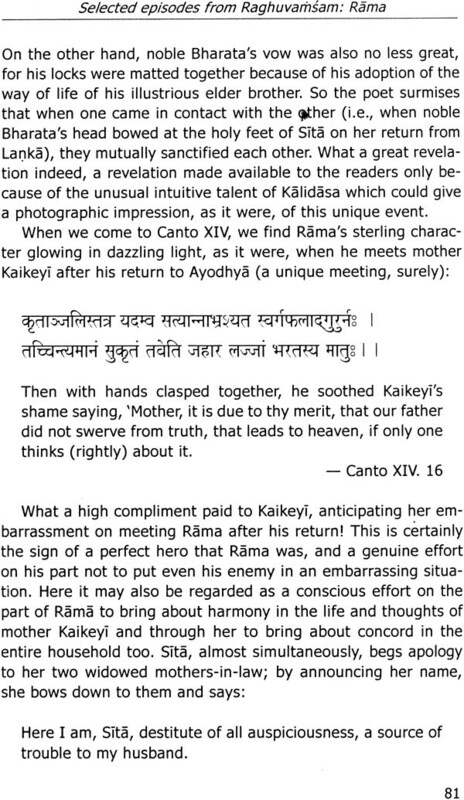 It has been said that Poetry unveiled herself in all her beauty in the presence of Kalidasa. 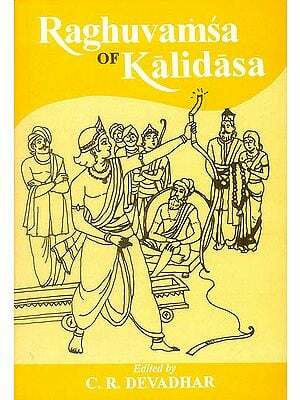 [KALIDASA) is a true son of his age in his dwelling on the artistic, hedonistic, sensuous sides of experience and pre-eminently a poet of love and beauty and the joy of life. 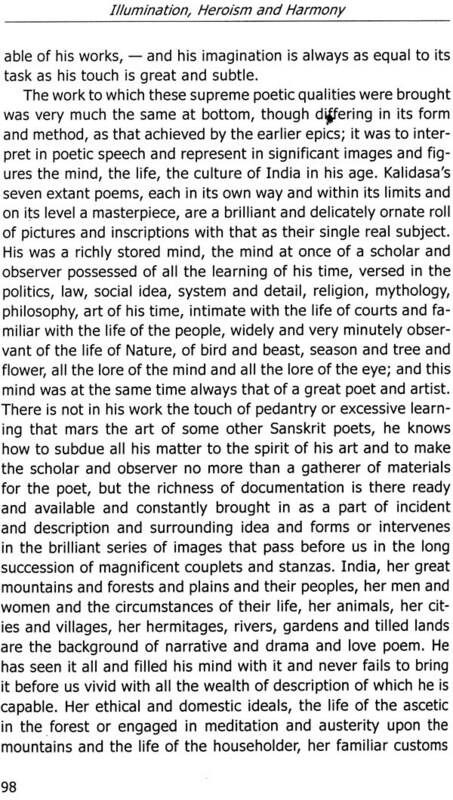 He represents it also in his intellectual passion for higher things, his intense appreciation of knowledge, culture, the religious idea, the ethical ideal, the greatness of ascetic self-mastery, and these too he makes a part of the beauty and interest of life and sees as admirable elements of its complete and splendid picture. All his work is of this tissue. 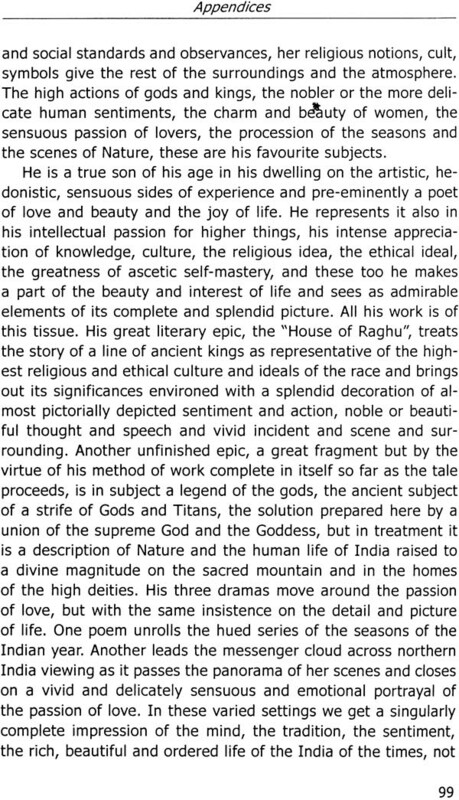 His great literary epic, the “House of Raghu’ treats the story of a line of ancient kings as representative of the highest religious and ethical culture and ideals of the race and brings out its significances environed with a splendid decoration of almost pictorially depicted sentiment and action, noble or beautiful thought and speech and vivid incident and scene and surrounding. Another unfinished epic, a great fragment but by the virtue of his method of work complete in itself so far as the tale proceeds, is in subject a legend of the gods, the ancient subject of a strife of Gods and Titans, the solution prepared here by a union of the supreme God and the Goddess, but in treatment it is a description of Nature and the human life of India raised to a divine magnitude on the sacred mountain and in the homes of the high deities. The task of preparing teaching-learning material for value-oriented education is enormous. There is, first, the idea that value-oriented education should be exploratory rather than prescriptive, and that the teaching- learning material should provide to the learners a growing experience of exploration. Secondly, it is rightly contended that the proper inspiration to turn to value-orientation is provided by biographies, autobiographical accounts, personal anecdotes, epistles, short poems, stories of humour, stories of human interest, brief passages filled with pregnant meanings, reflective short essays written in well- chiselled language, plays, powerful accounts of historical events, statements of personal experiences of values in actual situations of life, and similar other statements of scientific, philosophical, artistic and literary expression. Thirdly, we may take into account the contemporary fact that the entire world is moving rapidly towards the synthesis of the East and the West, and in that context, it seems obvious that our teaching-learning material should foster the gradual familiarisation of students with global themes of universal significance as also those that underline the importance of diversity in unity. This implies that the material should bring the students nearer to their cultural heritage, but also to the highest that is available in the cultural experiences of the world at large. Fourthly, an attempt should be made to select from Indian and world history such examples that could illustrate the theme of the upward progress of humankind. The selected research material could be multi-sided, and it should be presented in such a way that teachers can make use of it in the manner and in the context that they need in specific situations that might obtain or that can be created in respect of the students. 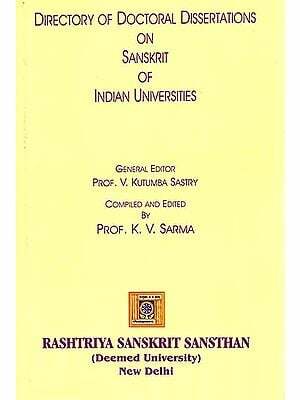 The research team at the Sri Aurobindo International Institute of Educational Research (sAIlER) has attempted the creation of the relevant teaching-learning material, and they have decided to present the same in the form of monographs. The total number of these monographs will be around eighty. It appears that there are three major powers that uplift life to higher and higher normative levels, and the value of these powers, if well illustrated, could be effectively conveyed to the learners for their upliftment. These powers are those of illumination, heroism and harmony. It may be useful to explore the meanings of these terms illumination, heroism and harmony — since the aim of these monographs is to provide material for a study of what is sought to be conveyed through these three terms. We offer here exploratory statements in regard to these three terms. Illumination is that ignition of inner light in which meaning and value of substance and life-movement are seized, understood, comprehended, held, and possessed, stimulating and inspiring guided action and application and creativity culminating in joy, delight, even ecstasy. The width, depth and height of the light and vision determine the degrees of illumination, and when they reach the splendour and glory of synthesis and harmony, illumination ripens into wisdom. Wisdom, too, has varying degrees that can uncover powers of knowledge and action, which reveal unsuspected secrets and unimagined skills of art and craft of creativity and effectiveness. Heroism is, essentially, inspired force and self-giving and sacrifice in the operations of will that is applied to the quest, realisatlon and triumph of meaning and value against the resistance of limitations and obstacles by means of courage, battle and adventure. There are degrees and heights of heroism determined by the intensity, persistence and vastness of sacrifice. Heroism attains the highest states of greatness and refinement when it is guided by the highest wisdom and inspired by the sense of service to the ends of justice and harmony, as well as when tasks are executed with consummate skill. Harmony is a progressive state and action of synthesis and equilibrium generated by the creative force of joy and beauty and delight that combines and unites knowledge and peace and stability with will and action and growth and development. Without harmony, there is no perfection, even though there could be maximisation of one or more elements of our nature. When illumination and heroism join and engender relations of mutuality and unity, each is perfected by the other and creativity is endless. Valmiki, Vyasa, and Kalidasa are the three greatest poets of India, and one cannot have a living experience of Indian culture without some direct experience of the works of these three great poets. 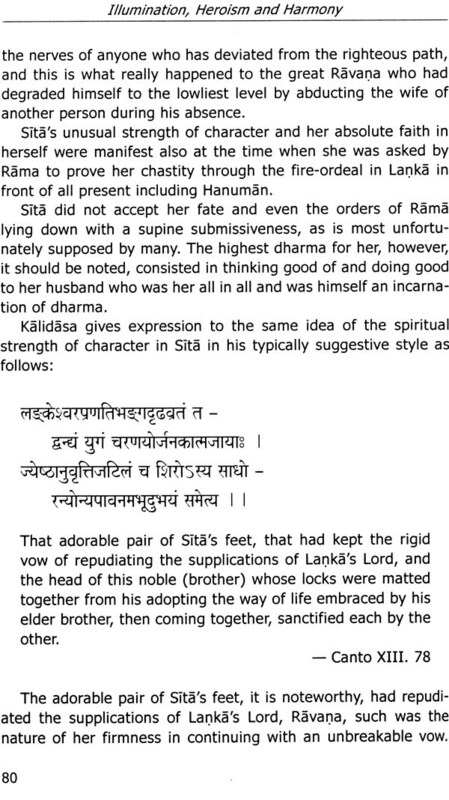 Kalidasa is the reputed author of Ritusamhara, Meghadutam, Raghuvamsham, and Kumarasambhavam. Apart from these four poetical works, three dramatic works have been universally attributed to Kalidasa, viz., Malavikagnimitram, Vikramorvashiyam, Abhijnana Shakuntalam. 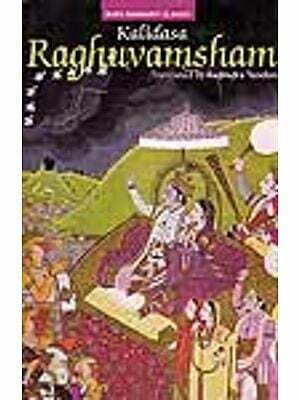 In Raghuvamsham, the poet describes a number of kings that belong to the House of Raghu, — from Dilipa to Agnivarna. 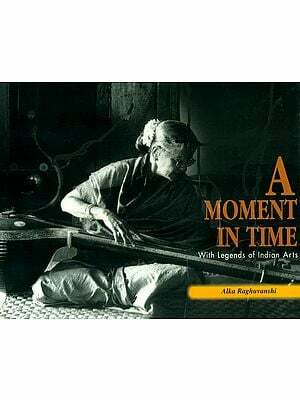 Only a few episodes have been selected for this compilation, — just enough to introduce to the reader a few glimpses of the idealism of the heroic qualities of kings like Dilipa, Aja, and Sri Rama. 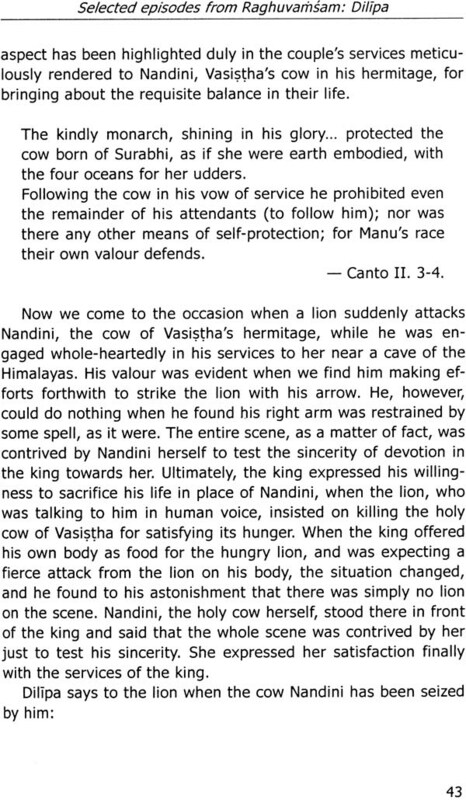 The victory of Raghu, the lamentation of Aja, the hunting expedition of Dashratha and four chapters devoted to Sri Rama may be regarded as perhaps the best portions of Raghuvamsham.